2 Day Tour Lake Nakuru, Hells Gate & Lake Naivasha From Nairobi. 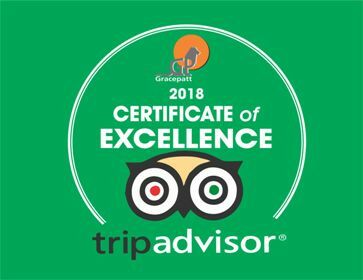 Enjoy private guided tour from Nairobi, explore the Lake Nakuru, Hell’s Gate and Lake Naivasha, spot animals on morning and afternoon game drives, and see birds and hippos . Hell’s Gate National Park is known as the only park where you can drive, walk and do some cycling within the Park then spice up your excursion with a boat ride in Lake Naivasha. This is a private tour for a minimum of 2 people. You will be met at your Nairobi city hotel by our safari driver guide who will drive northwest to Lake Nakuru. There will be a short stop at a viewing point to have a look at the Great Rift Valley from an elevated position. Your journey will continue to Lake Nakuru, arriving in time for a pre-lunch game drive. Lake Nakuru National Park is home to Giraffes, Waterbucks, Black and White Rhinos, Buffalo, Lions and Leopards, among other wildlife. Arrive at the gate of Hell’s Gate around mid morning, start biking tour for 2 hours within hell’s gate, some people will opt to drive which is also allowed. Animals seen here include Bushbucks, Dikdiks, Giraffes, Gazelles, Gnus, Hartebeests, Impalas, Klipspringers, Buffaloes, Hyraxes, Zebras, Hyenas, Jackals, Mongooses, Baboons, Monkeys and Porcupines amongst others. The park has historically been an important home for the rare lammergeyer vultures. From 11am, visit the gorges for 1 hour, capture beautiful panoramas of the gorge’s small thin depressions of land mass where you can walk underneath. Around 12pm return the bike at the gate, on the way visit the Maasai community. Then at 1pm for Lunch Naivasha Fishermans camp(own expense). 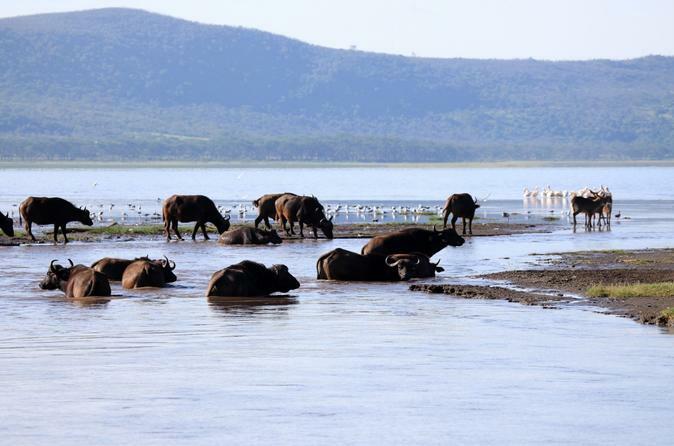 At 2pm, enjoy a relaxing boat ride on Lake Naivasha where you can see some of the local wildlife which includes hippos, buffalo, fish eagles, pelicans and much more for 1 hour.